For the staring-up various tests and inspections must be organized and carried out. Initial operation of a biogas plant is made up of the technical (duration a few days) and the biological part (duration some weeks). Before starting up the biogas plant, the plant owner must check if all the obligations included in the building permission are fulfilled. The entire gas system should been tested for tightness. The documentation for the technical units as well as for the entire biogas plant must be present, which also includes instructions for initial operation, a risk assessment and an explosion protection document [Eder 2012]. Starting up a biogas plant should always be done by the company who designed and built the plant. During the start-up phase, the farmer and the staff who will operate the plant, will be advised in running and maintaining the biogas plant. From a technical perspective the start-up of the biogas plant is only acceptable, if the safety devices are functioning and in compliance with the regulations information about safety listed in the operating instructions of the manufacturer [Eder 2012]. Biological initial operation is often referred to as “start-up”, depending on the used biomass the process needs minimum some few weeks’ time and can last up to 6 months. 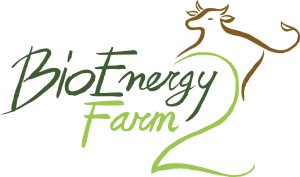 The biological start of a biogas plant should be thoroughly planned and organized in advance and already possible before the technical start-up [FZ 2013]. 5 For CH4 contents > 50%: initial charge with fresh substrate and gradually increasing the load (weekly about 0.3-0.4 kg oDM / (m³ ∙ d)) Rapid increase in load increases the risk of instability in the biogas process. Too slow increase leads to economic losses through delayed achievement of full load operation. 6 Process analysis at least once weekly needed Allows a customized increase of the load by occurring instabilities. 7 Comparison of targeted and actual analysis results (substrate input, acid level, gas or electricity production) with the start-up schedule Adjustment of the substrate feed-in to meet the intended power output, so that an economical operation is possible.